Things have often fallen apart for some favorites in the early goings of the BCS seasons that have transpired in these last few seasons. 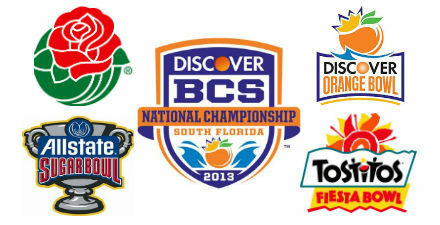 This year will be no different, as South Carolina, Texas and Florida took hard tumbles in the second week of 2013. But all is not lost. From strong conferences with plenty of title and BCS contenders, these teams have time to reinvigorate the run at final BCS glory. Comment: To pull yourself out of the off-season routine takes something special. And for both Alabama and Stanford, it seemed like things were not so easy on their first tries out of the gate. But with favorable schedules, though laden with plenty of roadblocks, the Crimson Tide and Cardinal could be headed on a red collision course. Comment: Things like Virginia and San Diego State serve little more than minor speed bumps in the journey of teams like Ohio State and Oregon’s roads to a BCS bowl bid. But more worrisome can be injuries like the one Buckeyes quarterback Braxton Miller suffered Saturday. Could the Buckeyes survive without him? It certainly seems like the Ducks keep rolling no matter who’s coaching, playing or running. The interesting part will be to see if Ohio State can persevere if Miller is to miss some time. Comment: Georgia bounced right back after last week’s disappointing loss to Clemson with a big win over South Carolina to right their ship. That puts them in a good spot for an at-large bid in the BCS. Michigan got its much-ballyhooed victory over Notre Dame in the final appearance in the Big House featuring the two squads. Both seem in contention for at-large bids. Comment: No problems for Clemson against much lesser South Carolina State, but it’s the Oklahoma Sooners with a big victory over West Virginia in the face of a shocking Texas loss to BYU that sets the Sooners up with a chance to claim an at-large bid in the final BCS slate. With the first selection after the auto-bids are filled, the Orange Bowl might have a chance to attract the team with the second-most BCS appearances in the era. Comment: Louisville coasts and Oklahoma State more than survives as the two conference favorites continue early successes in the 2013 season. With a Fiesta Bowl bid guaranteed to the Big 12 champ if they are to miss the national title game, the Cowboys land here, and with a weak schedule leading to an undefeated run to the end of the season, the Cardinals land here, perhaps undeservingly. It’s tough to tell if you can learn much from one week of college football. One game played doesn’t always shed much light on the landscape of college football in any season. But we’ve kicked off the last season of the BCS era, and in a few games played over the long weekend, spectacularly so. Games between Georgia and Clemson and a litany of FCS teams beating FBS teams gave the otherwise somewhat droll weekend some color. So what have we learned, really? Comment: That story that has been told so often these last few years about Alabama reloading every year, despite so many NFL-bound players, held mostly true Saturday. The Crimson Tide, though, did look a little rusty and needed help from special teams to get by Virginia Tech. They’re still favored to land in the title game, where they’d meet a No. 2 Stanford team that has yet to kick off 2013. Comment: Both Oregon and Ohio State looked solid on Saturday, though Oregon certainly had an easier time with things against Nicholls State than Ohio State did against Buffalo. The Ducks looked like they hadn’t lost a step despite a new head coach, behind Marcus Mariota and De’Anthony Thomas. If they miss out on the title game, expect them here in the Rose Bowl with the Buckeyes. Comment: Georgia lost a thriller to Clemson, but has the chance next weekend to bounce right back against South Carolina, and with a game between the hedges scheduled, expect the Bulldogs to right the ship and reposition themselves for this at-large selection, replacing a title-game bound Alabama team. Michigan, which looked solid against Central Michigan, can easily run out a 10- or 11-win 2013, and with it, a chance to be BCS bound in the last year of the era. Comment: Clemson captured what was the win of the weekend by topping Georgia in thrilling fashion, and validated the preseason hype surrounding the Tigers. TCU was not as lucky to beat an SEC foe on Saturday, giving Texas, which cruised past New Mexico State on Saturday, an early leg up on an at-large BCS bid, which they get here as the first at-large selection of the slate. Comment: Oklahoma State proved its prowess in topping Mississippi State in a strong out-of-conference opener for the Big 12 favorites. If Oklahoma State can hang with the SEC, you have to like their odds in the Big 12. Louisville, which opens its season on Sunday, could easily finish the season undefeated, but without a strong opponent to its credit, may fall short of the BCS title game and instead land here, as the final draft pick of the bowls. One more time. 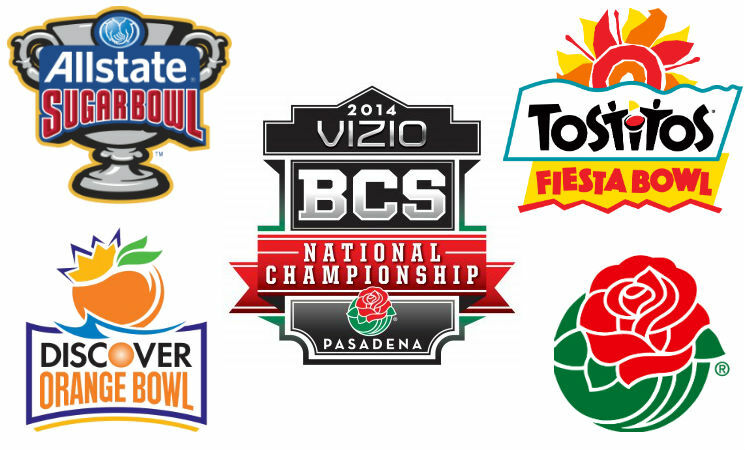 Just once more will the BCS decide a champion in college football. 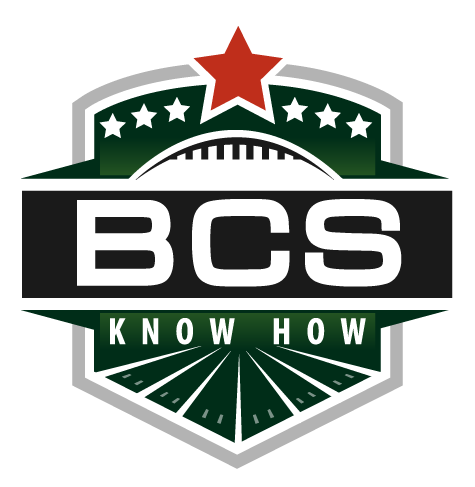 Whether you loved or hated it, you have to admit the BCS was a lightning rod for conversation and lively debate in the college football world. 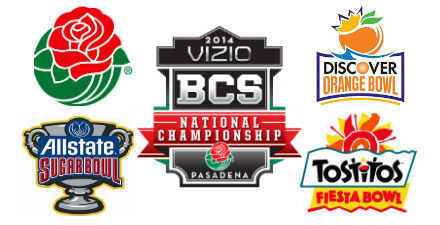 It’s always been fun to project what’s about to happen in each season under the BCS. And this one is no different. Could Alabama close the BCS era on an unprecedented streak that will likely imprint them as the team of the era? We’re about to find out. Plus there are nine other slots to be filled one last time in this group of five bowls that has survived years of debate and hatred. We can only hope it finishes strong. Comment: Alabama could very well complete a run so unmatched in modern college football that the BCS will be inextricably linked to the Crimson Tide, even though Alabama didn’t even capture its first BCS victory until the 2010 title game. Looks like 2013 is shaping up to be another crimson year. On the other sideline you could find another red — the Cardinal of Stanford. With a home contest against Oreogn on the docket and a very high preseason ranking, it’s not too difficult to see Stanford making the final climb in the last BCS year. Comment: It is that one contest against Stanford in Palo Alto that makes a trip to the Rose Bowl more likely than one to the title game for the Ducks, who similarly come into the season with a big preseason ranking and a handful of Heisman hopefuls. The Buckeyes of Ohio State are a prohibitive No. 2 this year after sitting out a year with postseason ineligibility, but unlike their cakewalk schedule of last year, there are landmines to trip over, and we’ll say that at least one of them gets the Buckeyes, keeping them from a final trip to the BCS title game. Comment: Georgia was a few yards from a title game berth last year, and instead got left out of the BCS all together. Not a pretty sight for the Bulldogs’ faithful, but with the right set of circumstances in 2013, it seems like the season could finally play out for a Georgia return to the BCS for the first time since the 2008 Sugar Bowl. Louisville has what amounts to one of the country’s easiest schedules in 2013, and though they may survive without a blemish to their record, it will be a tough climb to get into the title game picture. If they do miss out, a berth in a BCS bowl as the inaugural champs of the American Athletic Conference shouldn’t be too tough to come by. Comment: Clemson’s recent rise as an ACC power comes not surprisingly as a result of the play and reputation of quarterback Tajh Boyd and a threatening offensive attack. After missing the BCS last season, expect the Tigers to take advantage of a somewhat young and weakened ACC to a conference title and a bid to the last BCS-era Orange Bowl. TCU’s first two bids to the BCS came as a result of their surprising seasons as a member of a non-AQ conference. The Horned Frogs showed they could hang with the big boys then, and now, with a year of Big 12 experience under its belt, TCU should vie for a shot at a BCS berth. Comment: No one school symbolizes what the BCS tried to do with its at-large and non-AQ addendums than Boise State. And with a high preseason ranking and a somewhat breezy schedule ahead of them, the Broncos could make one last bow on the BCS stage. Oklahoma State leads a bunched-up Big 12 conference of favorites, but we’ll say with a favorable schedule and a strong returning group of players that the Cowboys will grab this automatic bid to the Fiesta Bowl as Big 12 champs. 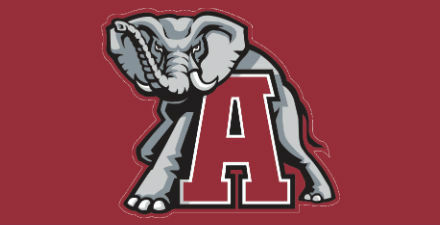 Alabama will get its shot at BCS history. For the first time since Ohio State made back-to-back trips to the BCS National Championship Game in 2007 and 2008, we have a return contender for the BCS title in the Crimson Tide. But unlike the Buckeyes, who lost both attempts to lift the crystal football, the Crimson Tide have a shot to make history — and win a second straight BCS national title, something that has not been accomplished in the BCS era. With a thrilling 32-28 victory over Georgia in Saturday’s SEC Championship Game, the Crimson Tide locked up the SEC’s automatic bid to a BCS bowl. But more importantly, the BCS No. 2 Crimson Tide assured themselves of a spot in the national championship game against Notre Dame. The achievement will become official when the bowl pairings are announced tomorrow. In last season’s BCS title game, the Crimson Tide bested LSU in a rematch of a regular season game between the two teams that the Tigers won. Alabama made the championship game without competing for the SEC title, riling up many fans around the country. This year the Crimson Tide completed a 12-1 record with an SEC crown to boot.